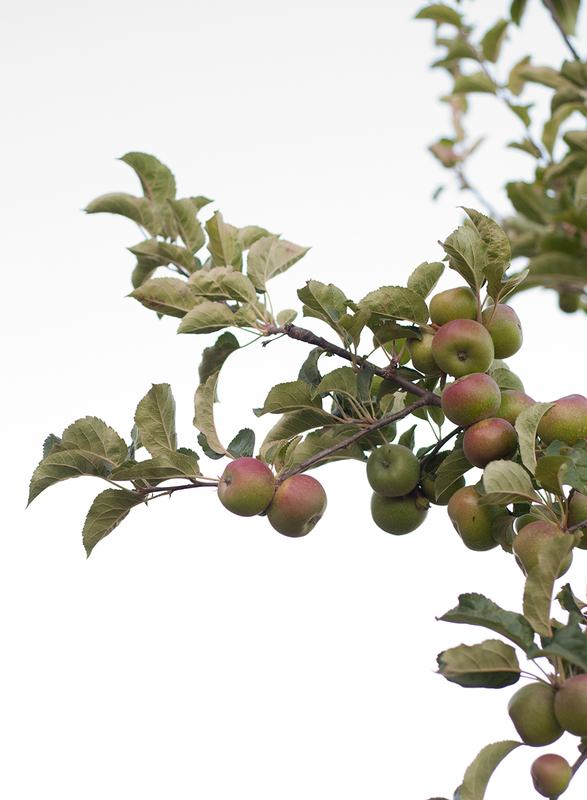 It’s apple season! Growing up in the apple orchard when I was little, I loved this time of year when we started to pick and make everything imaginable with apples. 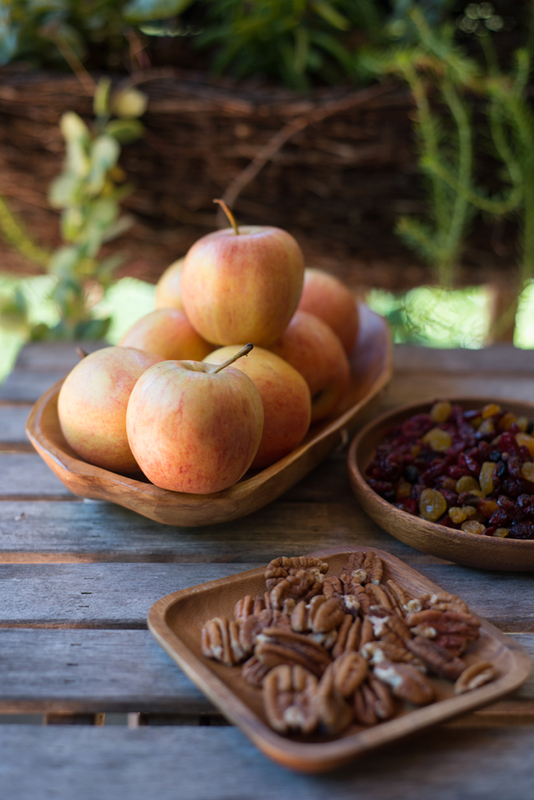 We dried them, made apple butter and apple sauce, pies and tarts…the list is endless! Cutting apples into matchstick-sized pieces for a salad makes them just a little more fun to eat, don’t you think? 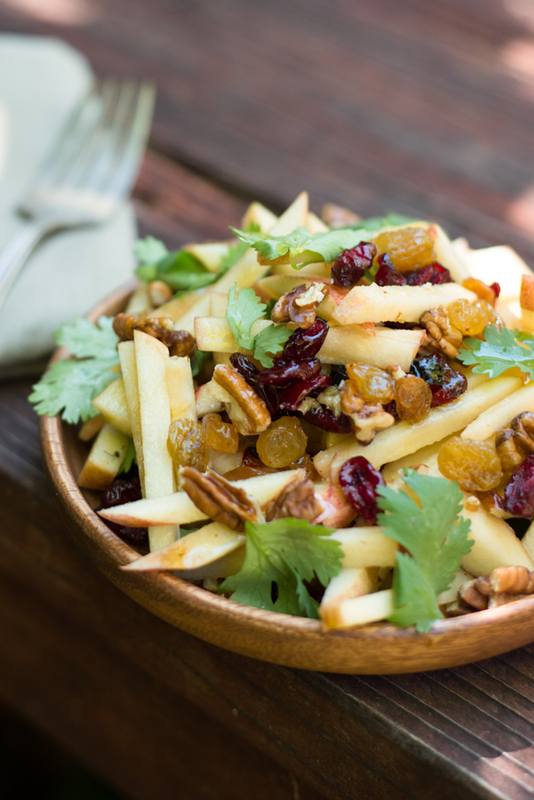 Slice a few apples this way and toss them with chopped pecans (or any nuts), dried berries and raisins (I bought a mix at Trader Joe’s with golden raisins, blueberries and cranberries), plus some fresh cilantro. Dress with a bit of olive oil, lemon and salt. Sweet, Salty, Savory! This week The Forest Feast turned 3, and I love that this little blog’s birthday falls during the harvest season. This week, our family is celebrating my favorite Jewish holiday- Sukkot, a harvest holiday where we build a little hut outside and have meals under it for a week. It’s so fun! And we’ve had warm nights here in the woods lately which has made it even better. I made this salad the other night and it was a hit. 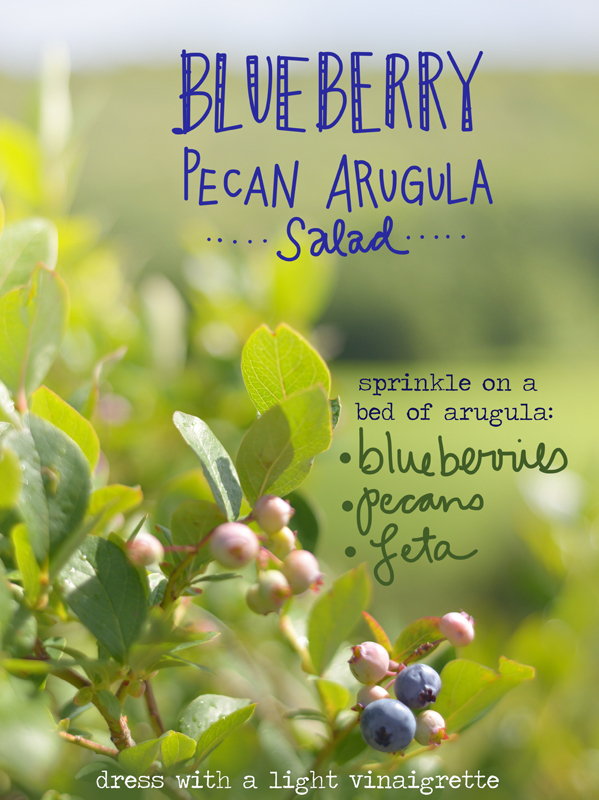 In a couple weeks we are heading to Vermont for a family get-together, and I can’t wait to go blueberry picking! 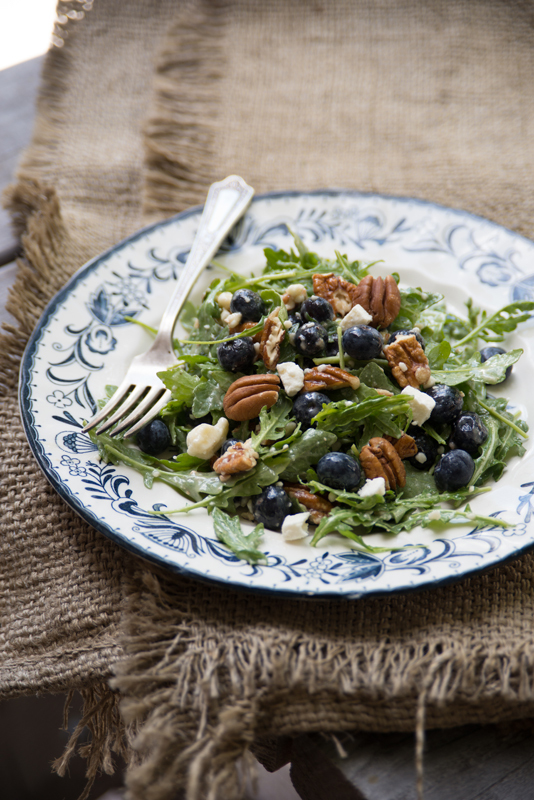 Usually it’s so hot that I can’t manage to bake a pie, so instead I love throwing the fresh berries in salads. Click on over to my Better Homes and Gardens post for the full recipe and more photos. Cheers to outdoor summer meals!